The 50 day moving average is watched by many traders and investors. 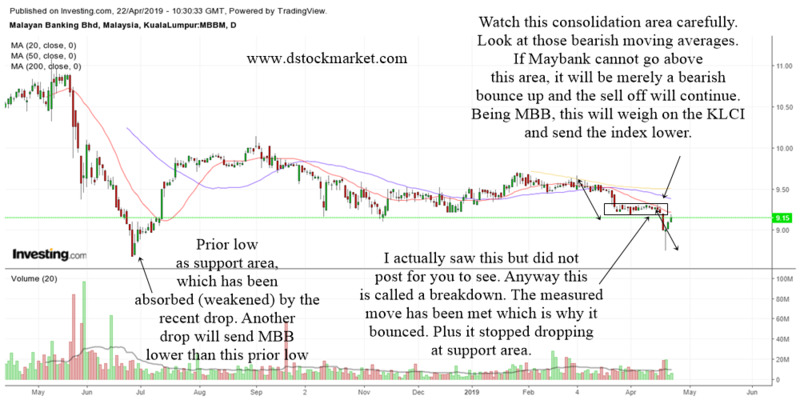 Therefore it is considered to be a major moving average. 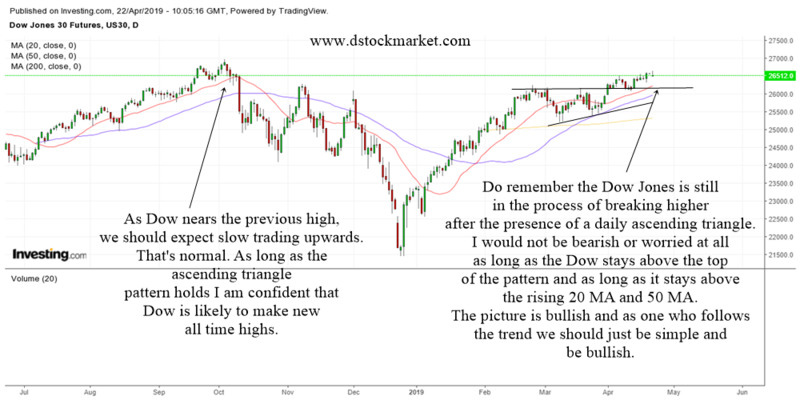 In the previous article, we have discuss about how to use the moving average to analyze stocks. If you haven't gone through it, I recommend you read it. 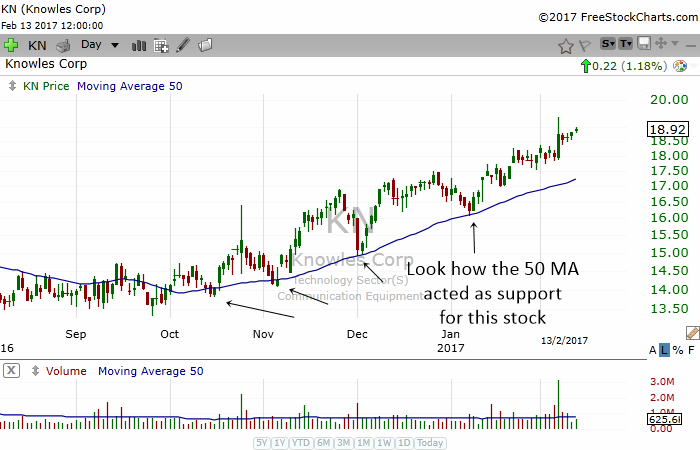 In this article we are going to look at another use of the 50 day moving average. 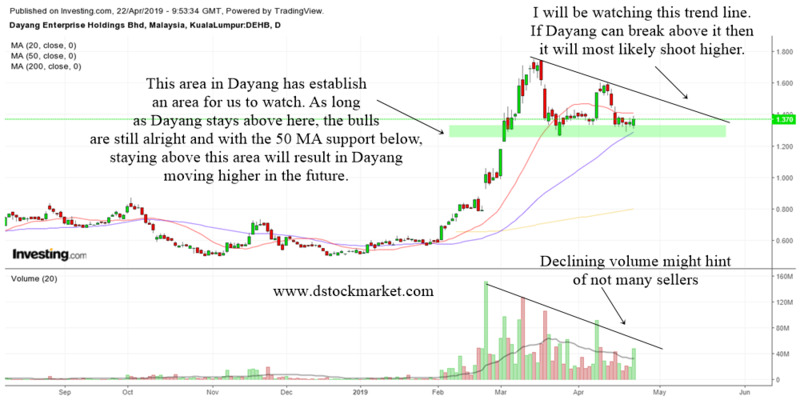 One of the uses of the 50 MA is its ability to act as a psychological support. It can also be used to point us to real price support. Since the 50 MA is observed by many traders, it is so powerful that on its own it can be support as well. The 50 MA support does not work all the time but if you combine it with other analysis such as support analysis and indicators such as stochastics, you can have a very high accuracy candidate for a reversal. 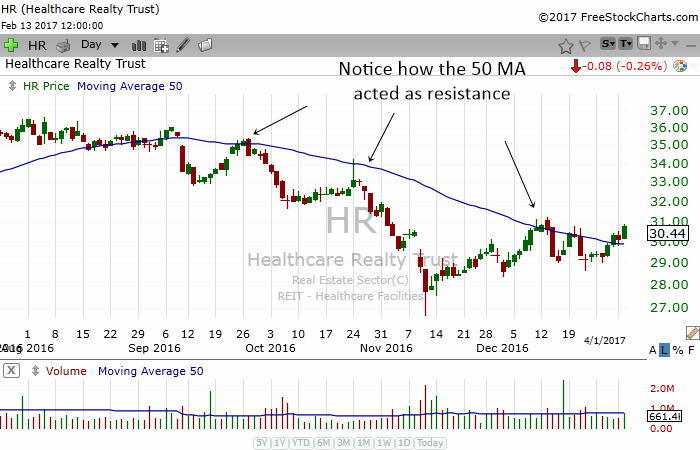 The 50 MA can also act as a resistance. 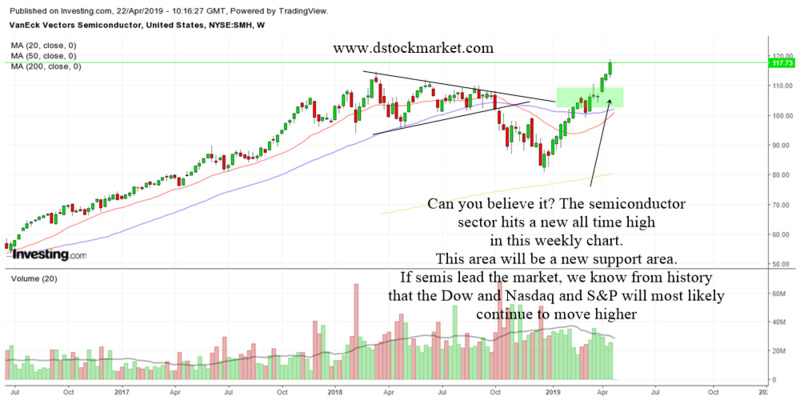 If a stock is below its 50 MA and it rises to touch the 50 MA, odds are it may find it difficult rise further. 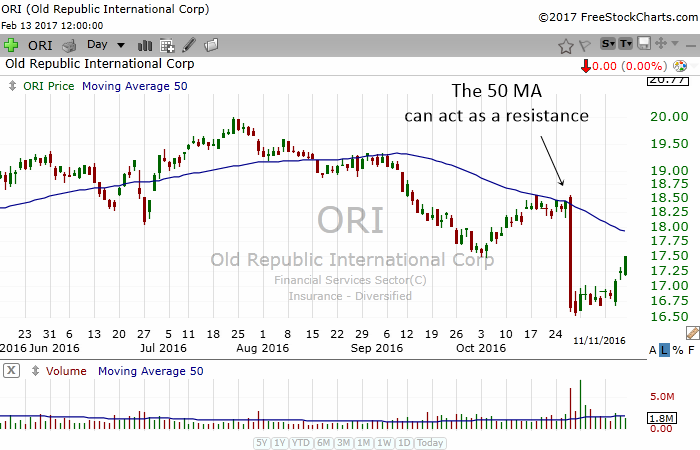 Many stocks tend to drop when they reach their declining 50 MA. 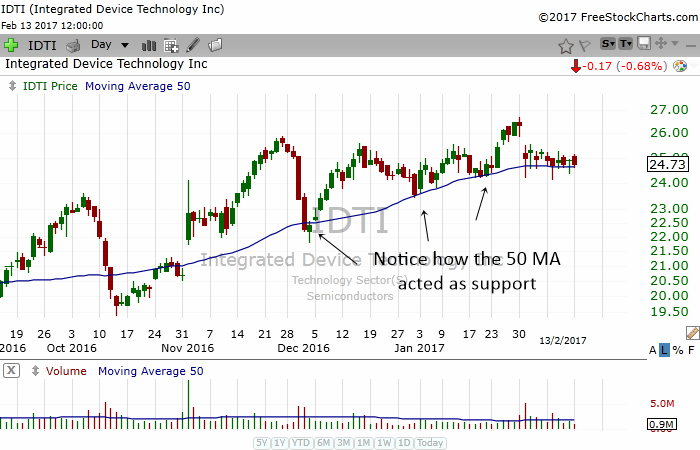 The 50 MA can be a very reliable support or resistance. 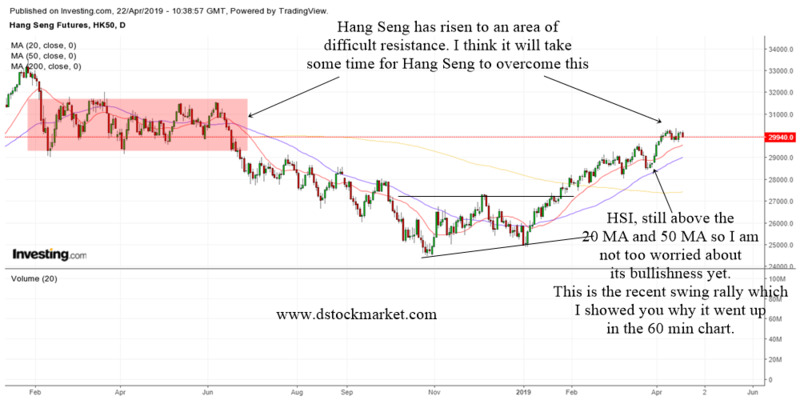 Therefore, many traders create trading strategies based on the 50 MA. I also love to trade stocks that are touching their 50 MA.